Zines are small self published mini magazines. Usually created by hand and printed with a photocopying machine. 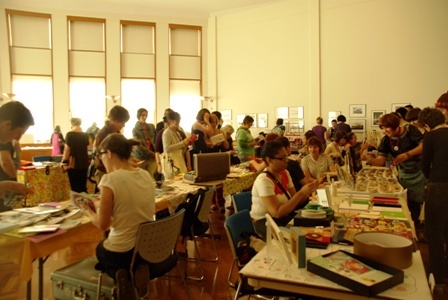 As a part of youth week, a Zine Fair will be held this Sunday at the Wollongong City Gallery starting at 12pm. This is the second year running for the event and its popularity is anticipated to grow. Maddy Phelan is one of three organizers of the event and spoke to crossfire about the event. Film enthusiasts are being given the opportunity to showcase their work and compete for the title of Wollongong’s best short film for 2009. Wollongong City Council’s Youth Services is encouraging film makers between the ages of 12 and 24 to cubmit their short flicks into the Festivity Flicks Short Film Festival. Contestants must work, go to school or live in the Wollongong Local Government area. Music videos, Narrative pieces, documentaries and everything in between are welcomed but they must be under ten minutes in length. Films must be submitted by 5pm the 23rd of March. Screening of the films and judging will be on the 30th of March at the Wollongong youth centre. Four winners will be awarded prizes on the night.